Inside Columbia magazine invited three CoMo barkeeps — Sycamore’s Andrew Ruth, Bleu’s Aaron Brown and Kait Andre of Coley’s American Bistro — to share their inspirations for quintessential summer libations. With summer’s abundance of fresh produce and plenty of ice, these favorite recipes are thirst-quenching and delicious summer craft cocktails you can try on your own. Enjoy! Pour vodka into an ice-filled glass. Add the next three ingredients. Top with club soda and stir. Garnish with rosemary sprig. 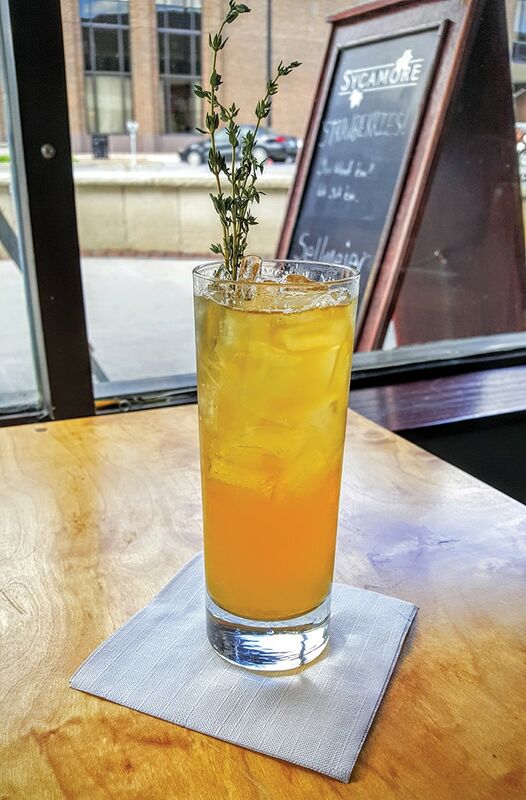 Sweet tea is a signature summer beverage and the inspiration behind Sycamore bar manager Andrew Ruth’s Alabama Worley cocktail. Vodka infused with Earl Grey tea is the centerpiece of this drink. Ruth added peach bitters and honey syrup to round out the flavor. Fresh lemon juice and fizzy club soda give the cocktail a thirst-quenching quality. For summer drinks, Ruth says he likes to add booze to something nonalcoholic that people enjoy drinking on a warm day, such as lemonade or iced tea. “You can also take a popular cocktail like a margarita and modify it to make it more interesting and take it to another level,” he says. In a cocktail shaker, muddle the cucumber and basil. Add vodka, Riesling and sour mix. Strain into a large, ice-filled rocks glass. Garnish with basil leaf and cucumber slice. 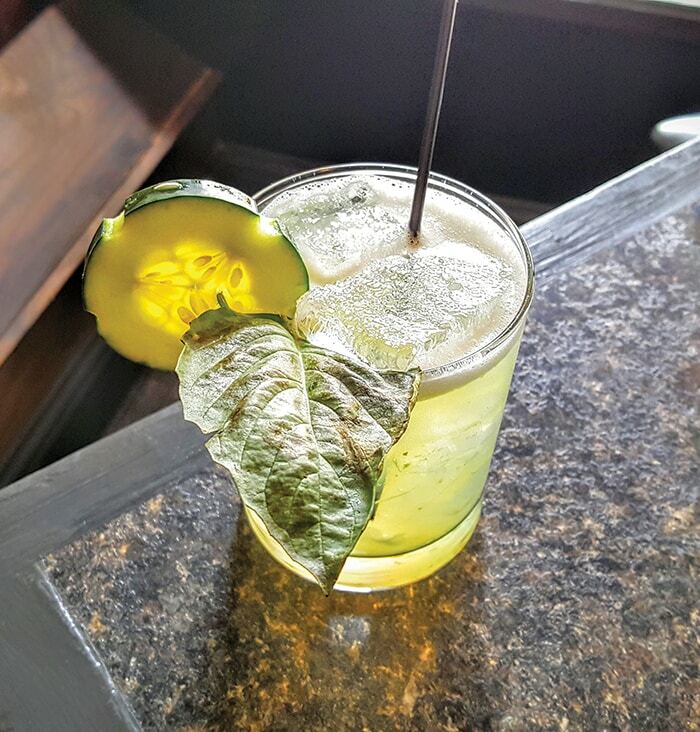 The menu at Bleu describes the Cucumber Basil Cooler as “summer personified.” The drink is light, yet it has a bold flavor. Bar manager Aaron Brown makes his own sour mix for the cocktail. Brown suggests trying the cocktail with Hendrick’s gin instead of vodka. “The herbal flavor of the gin brings out the cocktail’s fresh flavors [for] a complex flavor explosion,” he says. For a nonalcoholic version, replace the vodka and Riesling with lemonade or lemon-lime soda. Combine vodka and lemonade in an ice-filled glass. Garnish with mint sprig and a lemon slice. For this simple cocktail, Kait Andre, bar manager at Coley’s American Bistro, makes her own lemonade using fresh strawberries and mint. “Sweeter drinks with citrus seem to be popular in the summer,” Coley says. “Vodka is very well masked by mixers, but you can make an equally great summer cocktail with whiskey. Don’t be afraid to try something different that is outside of your comfort zone,” he adds. 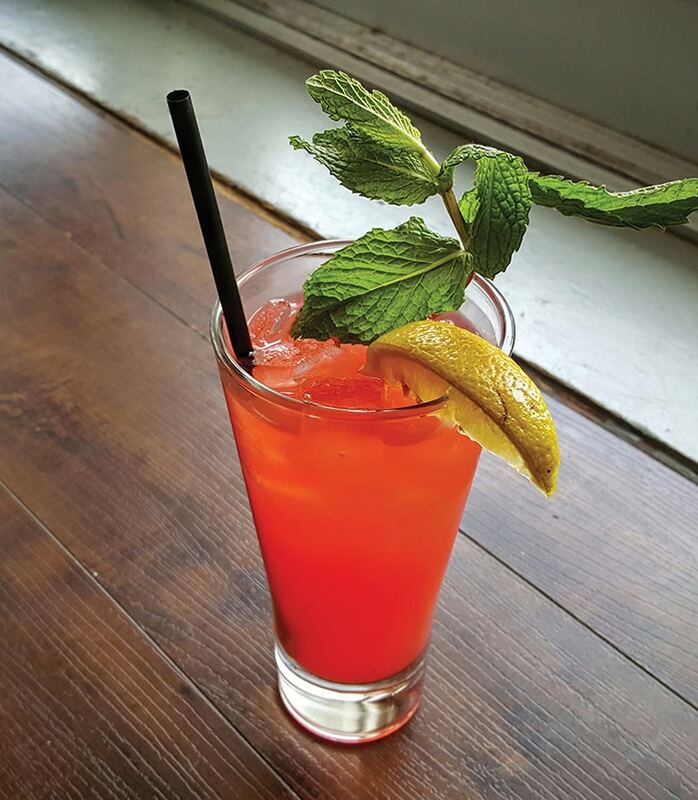 “If you eliminate the vodka, the strawberry-mint lemonade makes a great summer beverage on its own,” Coley says.